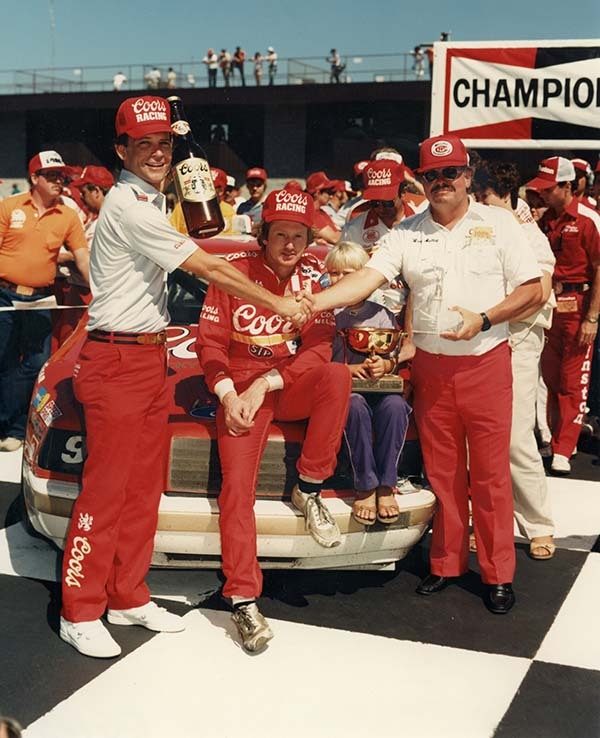 The Elliotts of Dawsonville, Ga. and business entrepreneur Harry Melling of Jackson, Mich. created one of the most successful NASCAR Winston Cup teams of the 1980s. Melling quickly saw their dedication to racing. It all began in 1980 when George Elliott, as well as sons Ernie, Dan and Bill found themselves in need of sponsorship to keep their fledgling team operating. At that time, Melling was providing financial support to driver Benny Parsons and M.C. Anderson Racing. Parsons suggested Melling sponsor the Elliotts for a few Cup races at the end of that season. Melling met with Ernie and Bill and agreed to pay $500 to sponsor their team in the National 500 at Charlotte, resulting in a sixth-place finish. The Elliotts kept the Melling Timing Components name on the quarter panels at Atlanta two weeks later and started on the front row. Even though clutch failure dropped Bill to 18th, Melling was impressed with their strong work ethic and future potential. In 1981, the Elliotts entered 13 Cup races on superspeedways at Daytona, Atlanta, Talladega, Charlotte and Michigan and Darlington, logging seven top-10s that included a pole position and best finish of fourth-place. 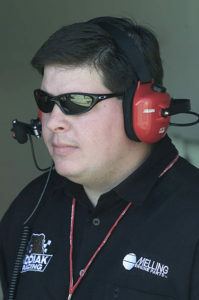 Seeing their potential, Melling bought the team from George Elliott and formed Melling Racing in December of that year. Eight top-fives, nine top-10s and a pole position at Michigan highlighted their 1982 season, their first full season together. The Elliotts reached many milestones over the next seven years, culminating with winning the Winston Cup championship in 1988. Their first win came on the road course at Riverside, Calif. in November of 1983. A third-place finish in points that year and again in 1984 helped set the stage for their best season in 1985. Among 11 victories that season, the Daytona 500, the Winston 500 and Southern 500 secured the prestigious Winston Million bonus and the names the “Million Dollar Bill” and “Awesome Bill from Dawsonville” among his fans. Another victory in the season-opening Daytona 500 in 1987 was the first of five wins that year. Later that spring, the Elliotts gave Melling Racing the fastest recorded pole position speed in a stock car at 212.809 mph at Alabama International Motor Speedway (now Talladega Superspeedway) on May 1, 1987. The elusive championship in 1988 came together after taking a 79-point lead over Rusty Wallace to the season finale in Atlanta. His 11th place finish secured the title for Georgia’s most famous family. The Elliotts remained with Melling through 1991 before Bill’s move to Junior Johnson and Associates in 1992. Phil Parsons, Chad Little, Rick Bickle and Jerry Nadeau drove for Melling Racing in the years that followed. All told, Melling racing amassed 34 wins, 115 top-fives, 183 top-10s and 42 pole positions before Mark Melling closed the team in 2002. 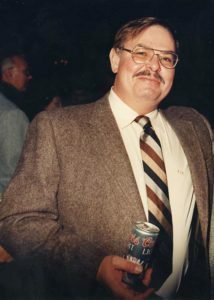 According to Mark Melling, the relationship his father shared with the Elliotts was incredibly rewarding before his unexpected passing on May 29, 1999 at the age of 54. Theirs was a combination that drivers and team owners can only dream about.